성서에 예고된 메시아 라엘은 이미 우리 가운데 와 있다. This unit is about a computer device installed on the planet of immortality when Messiah Rael visited the immortal planet called the Kingdom of Heaven on October 7, 1975. This is a chapter that introduces his witness of a huge computer that stores all the information of each person from birth to death （human black box) (see Intelligent Design: Volume 2, pages 168 and 171). 『‘In this machine are kept the cells of malevolent people who will be recreated to be judged when the time comes. They are cells from those on Earth who preached violence, wickedness, aggressiveness and obscurantism. Despite having in their possession all the elements to understand where they came from, these people did not have the sense to recognize the truth. They will be recreated to undergo the punishment they deserve, after being judged by those whom they made to suffer or by their ancestors or descendants. Messiah Rael says: Falsehood can not escape judgment, saying that human is kept in record on the Elohim's computer of everything from the mother's ovum fertilized with father's sperm to death. 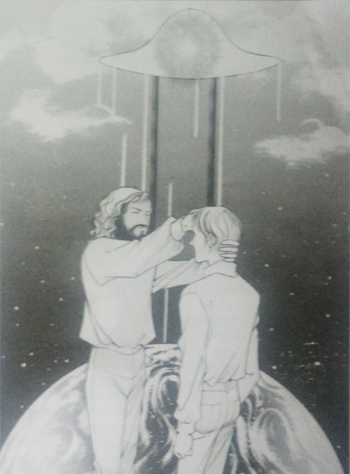 『Yahweh spoke again: ‘From now on, we will see through your eyes, hear through your ears, and speak through your mouth. We will even be able to heal through your hands, as we already do at Lourdes and in many other places in the world, for some sick people who deserve our help because of their will to radiate the message we have given you, and because of their efforts to acquire a cosmic mind by opening themselves to infinity. Bible Revelation 20:12: "…Another book was opened, which is the book of life. The dead were judged according to what they had done as recorded in the books. " "…Look! God’s dwelling place is now among the people, and he will dwell with them. They will be his people, and God himself will be with them and be their God.He will wipe every tear from their eyes..."
The Creator Elohim reveals the truth about the Tree of Life through Messiah Rael on page 16 of Intelligent Design. The Tree of Life in Bible reveals a part of the process whereby the Elohim, the scientists of the immortal planet, constructed the science lab on the planet Earth and create the first human and then transmit the civilization of the Elohim to humans. The Tree of Life of the Bible means knowledge (books, various materials, etc.) related to science and technology. 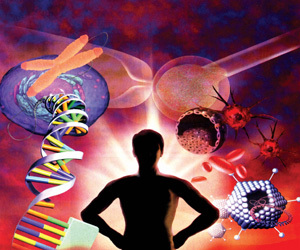 In particular, molecular bioscience technology is a vital tree of life among the trees which can repair, heal, and prolong human life. Messiah Rael's "Intelligent Design" is a book that reveals the origin of Earth's planetary civilization, especially the truth of Genesis. "Soldiers with atomic disintegration weapons were placed at the entrance to the creators’ residence to prevent human beings from stealing more scientific knowledge." 『In fact, the number 666 refers to the number of generations of humans that have reproduced on earth since the first man was created in the first laboratory. The first human was created about 13,000 years ago. If you estimate an average of 20 years for a generation, the 666 generation will be 13,320 years. The generation born in 1945, the Apocalypse (the age of revelation), is actually the 666th generation of the first human being born in the laboratory by Elohim. When the EU (European Union) was formed in the 1980s, Christianity foretold the end of the world. When they were announced that the number of barcodes as logistic indication was <666>, they called the barcode <the beast's mark>. They also warned the end of humanity when AIDS was announced. This end-of-world ideology is the main culprit of the people. ◎ " the beast" is not an beast, but looks like an beast. ◎ "calculate the number of the beast " expresses the relationship between the symbol of the beast and the number that can be counted. ◎ The countable number can be counted as 666 to indicate human. ◎ Especially, it emphasizes that wisdom and perception are necessary to understand the numbering and pointing to a person. Wisdom is a collective thinking force that contemplates things, and perception refers to the necessity of rational and rational thinking, so it requires rational judgment to interpret this content. In this context, the right understanding of <beast>, <someone>, <666> is the key. The explosion of a nuclear bomb in 1945 must surely be like a beast that can destroy mankind. 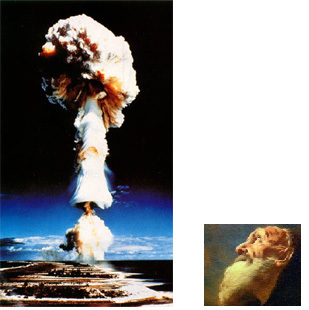 The ancient John of 2,000 years ago saw the mushroom cloud as it wriggled into the sky and saw it as an animal that could destroy humanity. In 1945, not only did scientists discover the origin of mankind by acquiring the mystery of the atom with the power of mankind, but the facts that have been regarded as mysteries and mysteries for a long period of time are now being revealed. It is also possible to predict the future scientifically. All this became possible from the time of the emergence of atomic energy (atoms of matter) symbolized as the beast in 1945. 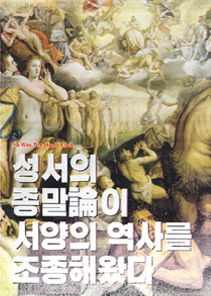 Therefore, Apocalypse (The Age of Revelation) began in 1945, and 1945 is the epoch of the science age. "666" means the present generation of human beings, not the number of beasts, which means the coming of the scientific age. The Apocalypse has nothing to do with the end of humanity. The atomic bomb dropped on Hiroshima on August 6, 1945 was a signal to the universe that humanity entered a new era of science. The "mark of the forehead" in Revelation refers to baptism. Baptism is the transfer of each person's DNA (Cellular plan). The transmission is the process by which Raelians who read the Elohim message and agree with it and approve the Elohim (the original word of God) as our Creator, and are valid during the lifetime of each Raelian. That is, the conscious act that represents one’s determination to comprehend the message of the Creator Elohim and to follow it in its entirety. ◎ The Elohim message states that " to have their cellular plan transmitted by him, or by a Guide qualified to officiate by him." ◎ The cell plan transmitted by the guide, that is, the genetic code, is recorded in a huge computer on the Elohim’s planet. This computer is used to collect information about every human beings (from the moment a new human genetic code is formed, Up to the moment of death). This accumulated data determines whether or not the person deserves eternal life. ◎ The authorized guided is a person who registered his vibration frequency on the computer of the creator Elohim, he transmits the information of the person who receives the transmission (cell blueprint) to the Elohim satellite (over the earth, Send it to the computer). To get best effects in the transmission, water is put on both hands to smooth the electrical contact, and the transmission is carried out with the palm resting on the forehead and back of the receiver. By doing so, the Elohim help you open your heart and you stay awake all the time. Children should never be baptized. The transmission is only for adults who recognize the Elohim as the creator. For when a person says to Elohim, "I acknowledge you as the Creator," it means that he understood who he himself is. Since after a child is baptismed, he/she become someone in a state of primitive religion, under this situation, to become a raelian who recognize the Elohim as a creator does not make sense, either of them must be chosen. Also, when an adult wants to become a raelian, he/she have to choose either. 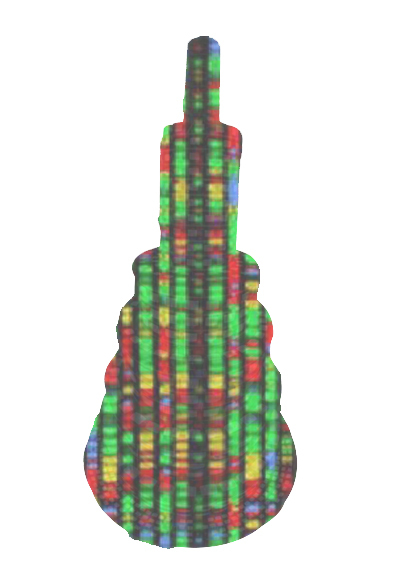 Individuals have their own unique chromosomes-celluar designs-which are oscillating with their own electromagnetic spectrum. The human body is a transmitter of electromagnetic waves and electromagnetic waves. The level of earth science has not yet reached the stage of measuring the wave phenomena of complex organisms like humans. In addition, it is not sufficiently developed to be able to separate the vibration wave of a specific molecule from the surrounding background sound. However, the scientific level of the Elohim can detect (receive) this wave even at long distances. The first is to preserve the genetic code of each raelian for the rebirth (resurrection) on the immortal planet of Elohim in the future. The second is that in Revelation 7: 3: “Do not harm the land or the sea or the trees until we put a seal on the foreheads of the servants of our God.” It has to do with 144,000 people who have a stamp on the forehead. The people who will be sealed in the forehead will be those who will have their cellular plan transmitted by manual contact between our prophet and their forehead bone. The total of those who will be “sealed in the forehead” will be around 144,000. Elohim is going to delay the final disaster (mankind's self-destruction) until 144,000. "For as long as the total of these human beings does not reach 144,000, we will help to delay the final cataclysm, so as to have a sufficient number to start a new generation on Earth, when it has become a suitable place again for humans to live." "Human DNA exits light and magnetic fields, and if it is full of love, DNA will emit far more light and magnetic fields, so DNA is sending and receiving information between each other in outer space." = People with ears to hear and people with eyes to see will understand the truth of the transmission. = Amen!